The GM Diet plan is one of the quickest ways to lose weight without starving or spoiling your health. The main benefit of the General Motors diet lies in the foods that are suggested during the program. If you carefully look at the foods that are allowed during the weight loss program, then you’ll notice that each of them in one or the other way improves your health, apart from making you shed pounds. When it comes to Vegetarian diet or the 7th day of the Non-vegetarian diet, the followers are suggested to eat starch in the form of brown rice. We, the Indians got used to the white rice for many years, but if we look at our ancestors, they used to eat only brown rice which has got many health benefits. According to a research by the American Journal of Clinical Nutrition, brown rice made it to the top, thanks to its nutritional and other inherent health benefits. Brown rice is rich in proteins, thiamine, calcium, selenium, fiber, magnesium and potassium. If you’re trying to lose weight or suffering from diabetes, then brown rice is for you, thanks to its low glycemic rating which helps in reducing the insulin spikes. 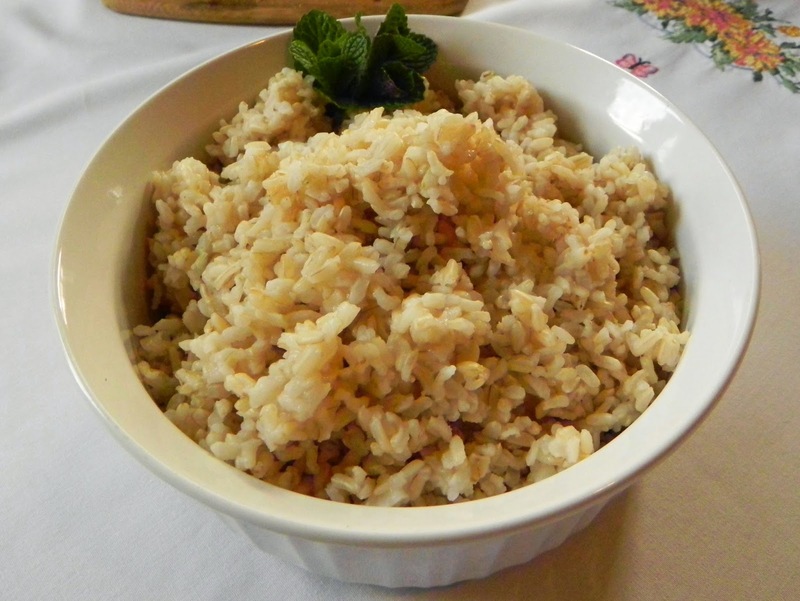 For more information about brown rice, please read this Wikipedia article. Let us now come back to our topic. Eating brown rice is a bit difficult for the starters as we’re habituated to the white rice, which is of no use to our health and a lot of diet experts say that white rice is a health spoiler. So, here is a simple brown rice recipe made of moon sprouts to make it tastier. How to Prepare Moong Sprouts mixed Brown Rice? First, in a bowl (cooker), add Olive oil and fry the onions and peanuts until golden brown. Next, add some water (250 to 300 ml). Once the water is boiling, add the brown rice, sprouts, salt and chili powder. Cook on a medium flame for 10 to 15 minutes or until you hear 3 whistles (if using a cooker). Sprinkle the coriander leaves on the brown rice and serve hot.